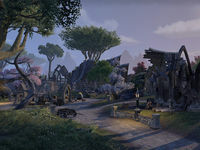 Silsailen is a small town in southern Auridon, just north of the city of Vulkhel Guard. The town is led by Canonreeve Valano, who resides in his manor on an island just south of town. 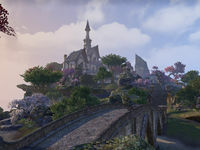 The Veiled Heritance has recently taken control of the town, under the guise of the First Auridon Marines. Silsailen Objective: Help repel the attackers invading the town of Silsailen. Silsailen Rescue: Rescue Silsailen villagers from a Heritance attack.